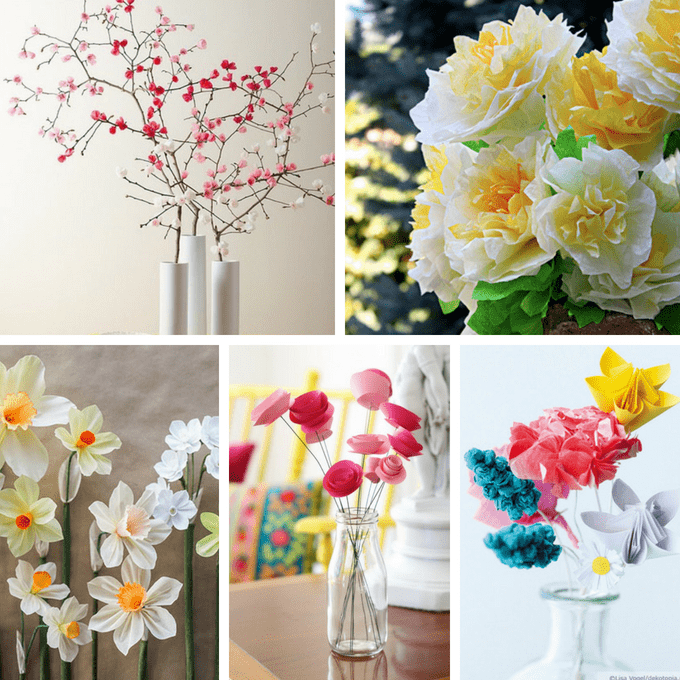 A roundup of 30 gorgeous paper flowers ideas with tutorials. Want flowers that last forever? (Or until you decide to recycle them?) 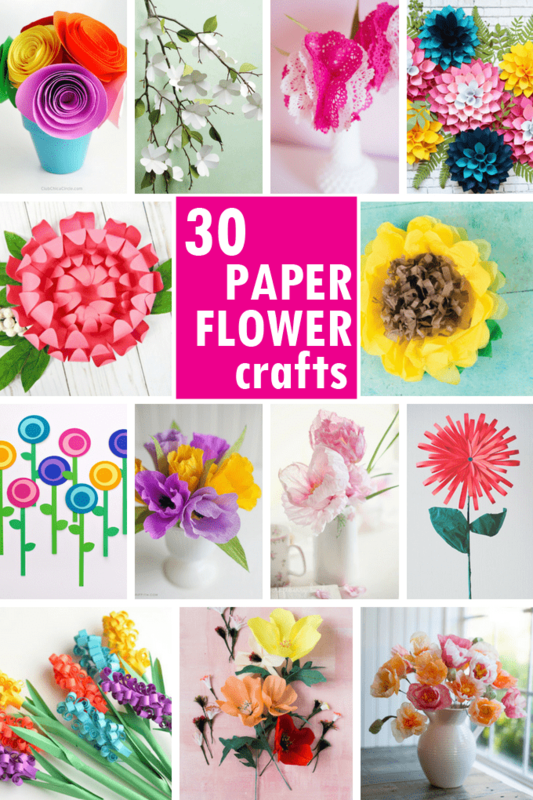 Here are 30 of the BEST tutorials for gorgeous paper flowers. It’s stunning what clever crafters can create from paper. 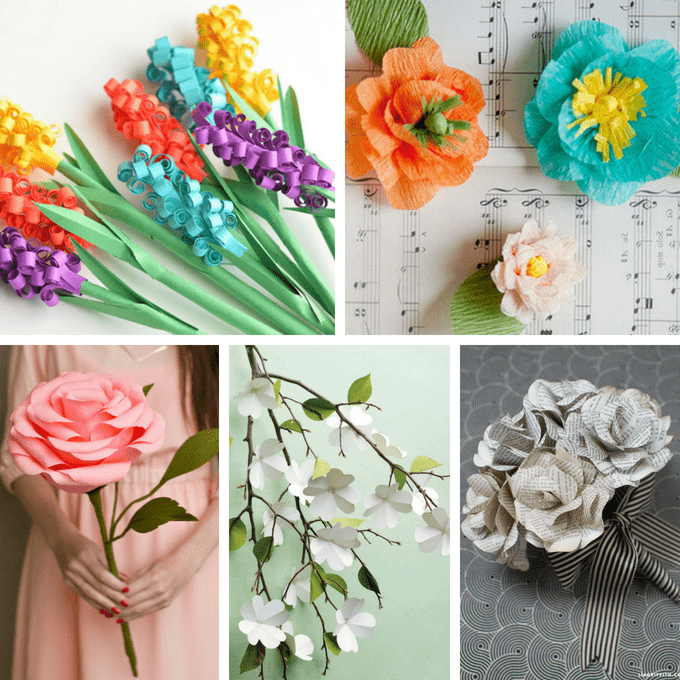 From crepe paper and scrapbook paper to coffee filters and doilies, from curiously realistic-looking peonies to easier modern round poppies, use these paper flowers for just about any purpose. 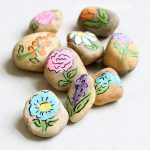 Create a wedding bouquet, make party decorations, use them for handmade gifts or hostess gifts… Or just place some in a vase for easy home decor. Most of these tutorials are for adults, but there are few simpler flowers in this collection for younger hands. Click the link to go to the original source and full tutorial, and to give the awesome paper crafters some social media love. Paper cherry blossoms from Instyle caught my eye (I live in DC after all). Can you believe these are coffee filter flowers? By Design Sponge. Or craft crepe paper daffodils at Design Sponge. How about some simple spray roses from Apartment Therapy? 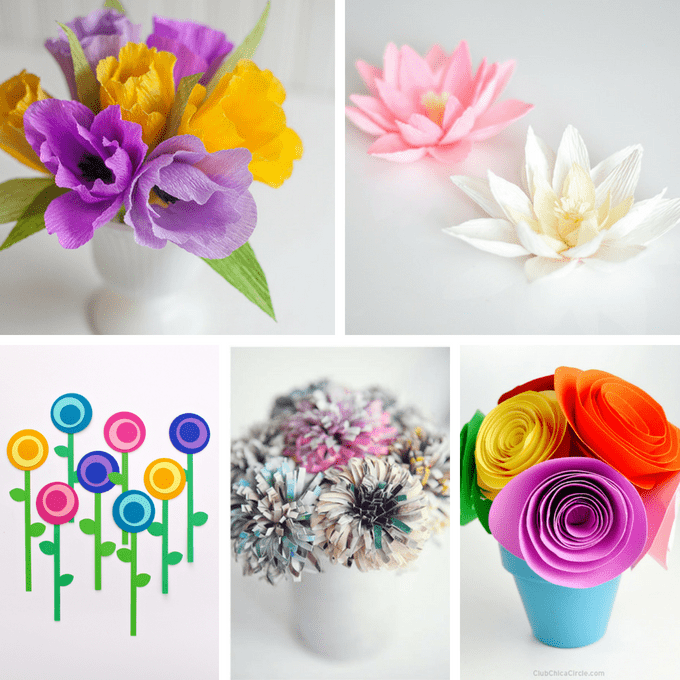 Craft a colorful paper bouquet at Dekotopia. Check out this tutorial on how to make a flower stamen, from The House that Lars Built. Or try these beautiful paper bluebells. Love these bold simple scrapbook paper flowers from A Subtle Revelry. These crepe paper and watercolor flowers from Craftberry Bush look so realistic. Start making these paper poinsettias from The House that Lars Built now for Christmas. This one is a bit simpler, perhaps a good one for kids, too. 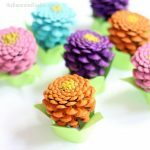 Paper hyacinths by One Little Project. 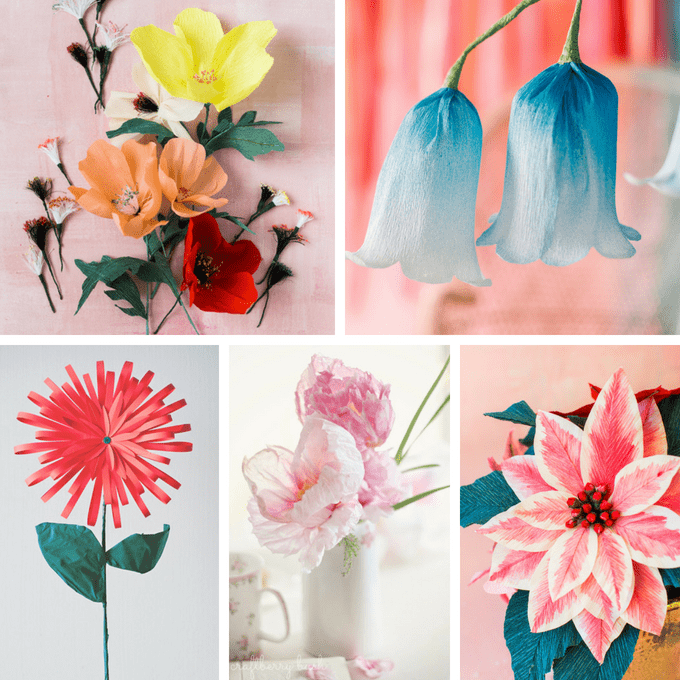 These pretty crepe paper flowers from The Art of Simple are also a bit more kid-friendly. I’d feel like a giant carrying these beautiful huge crepe paper roses, from Studio DIY. Craft dogwood flowers, by Martha Stewart. Craft flowers from music sheets or vintage book pages (by Lia Griffith) for a personalized handmade gift idea. 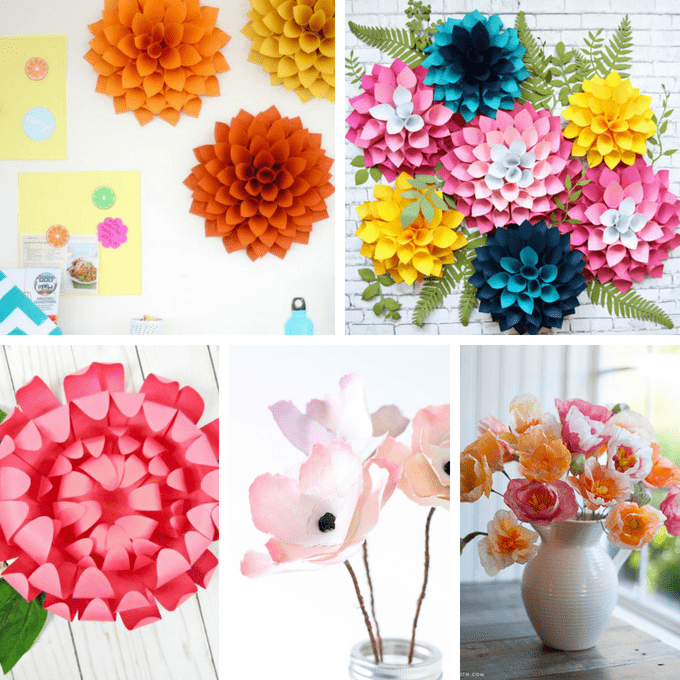 Make big paper dahlias wall decor, at HGTV. Or try these colorful dahlias from Abbi Kirsten Collections. I also love this chrysanthemum flower from Abbi Kirsten Collections. These watercolor flowers from Love Grows Wild are stunning. These tissue paper poppies from Lia Griffith look almost real. OK, one more from the amazing Lia Griffith, crepe paper tulips. 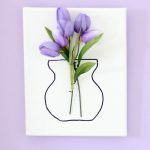 How to make crepe paper water lilies, at Ash and Crafts. Super simple and different from the rest in this list, and I love them so. 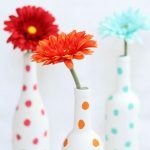 Round flowers from White House Crafts. Make paper flowers from magazines at Rock n Roll Bride. 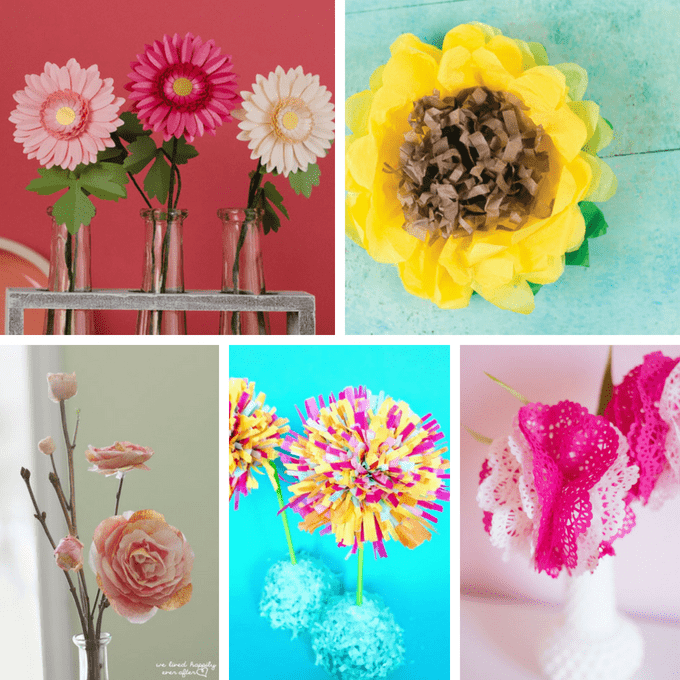 These bright spiral paper flowers from Chica Circle are easy to make. Another one from Lia Griffith: Paper gerbera daisies. Make some bright tissue paper sunflowers, by Hey Let’s Make Stuff. You’ll need the microwave for these paper rose flowers by We Lived Happily Ever After. For another more kid-friendly craft, try these fringe tissue paper flowers from Hello Wonderful. The first on the list using paper doilies! By Design Improvised.